Kale is a super vegetable because it contains vitamins A, C, K, and is packed full of fiber, iron, and calcium. Not only that, but kale is a delicious leafy green that can be eaten raw in salads, cooked in soups or stews, or baked to make delicious and healthy kale chips! 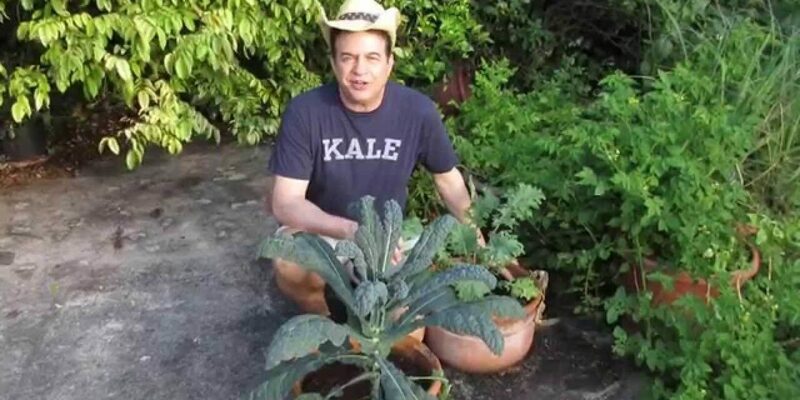 Growing kale is not hard at all, and it’s one of the best vegetables to grow by beginners. But whether you’re a beginner gardener or a seasoned gardener, these 10 tops for growing kale will make sure you grow the best, biggest, and most delicious kale crop! Although kale will grow in warm weather, it will taste bitter! Instead, kale prefers to mature in cooler temperatures. Start seeds indoors about six weeks before the last frost. 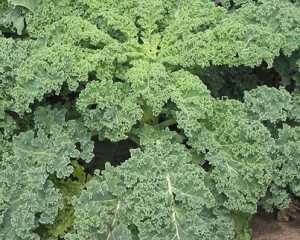 Plant your crop in the fall, 6-8 weeks before the first expected frost for the best tasting kale you’ve ever had! If you’re growing your kale in full summer, plant in partial shade. If growing in the fall, plant in full sun. During the summer, your kale will not want to be exposed to full sun. Plant kale alongside beets, celery, cucumbers, herbs, onions, chard, spinach, and potatoes. Don’t plant kale next to beans, strawberries, or tomatoes. While they’re growing, protect your plants with row covers to steer away flea beetles and also protect against cooler weather. Kale’s roots will usually run horizontally from the central stem. Use some straw or grass mulch to keep soil cool, preserve moisture, and make it easy for the roots to feed. Water your kale plant regularly, about an inch a week. Fertilize with compost every 6-8 weeks. A seaweed emulsion works great on kale plants. Pick off brown, dead, or unhealthy looking leaves to reduce insect damage. Harvest your kale when the leaves reach the size of your hand. Pick them carefully one by one, starting with the ones at the bottom. Make sure to leave a few of the smaller, central leaves to encourage more growth. You should be able to harvest again in about a week. If it’s been a really hot summer, pull your kale plant from the ground to make room for more heat-loving veggies. Kale does not like too much heat and will end up tasting bitter and woody. 10 Tips for Growing Kale was last modified: July 13th, 2017 by Aniela M.
Next7 Ways to Use Tea Bags in the Garden That You’ve Never Heard Of!